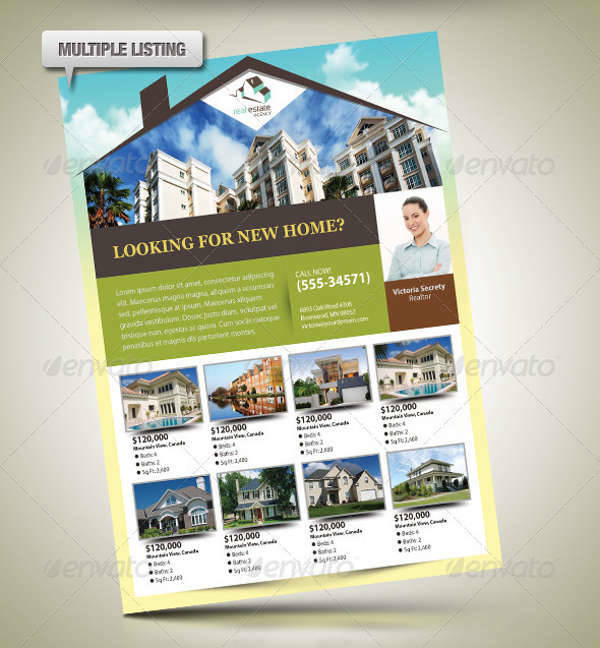 Nowadays, many companies tend to make use of any marketing methods they can get their hands on. 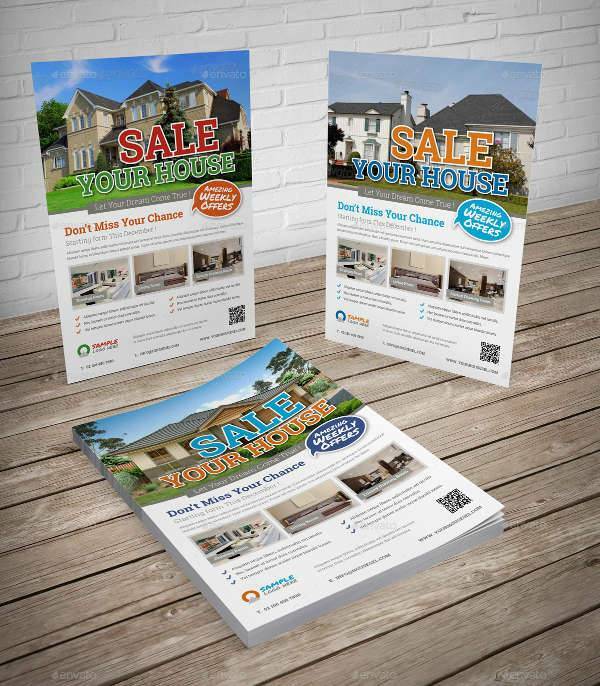 For many people, this means using more modern methods, such as online advertising, but that can also apply to tried and tested ways of using banners or distributing flyers. While these methods may not have the same advantages as modern methods, there is no denying that they still have their uses. 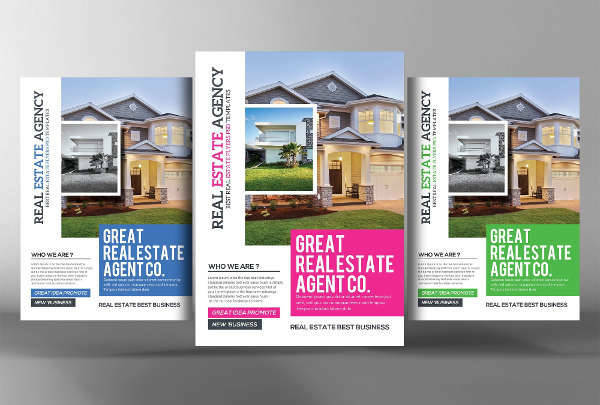 If you wanted a reliable means of advertising your real estate business, you may want to make use of real estate banners as well as flyers. For all that modern methods can outreach it, this method is still one that can affect a large number of people, at least in the vicinity. After all, there is a reason that such methods proved themselves successful in the past. 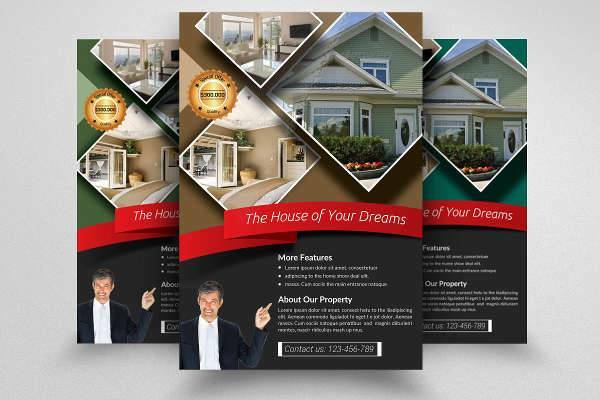 Flyers are basically pamphlets that can be cheaply made and mass-produced so as to reach large numbers of people at a time in a given vicinity, even if the flyers have to be distributed by hand. 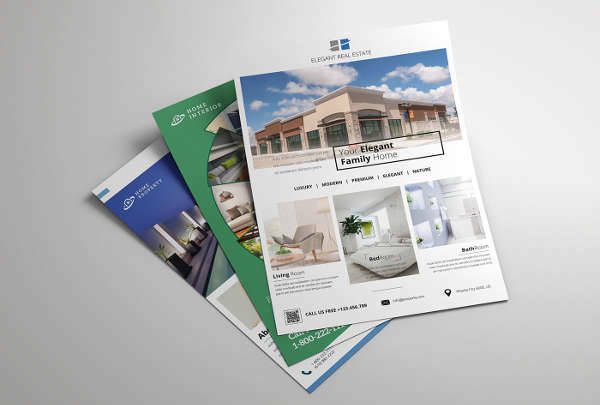 Flyers and other methods like them (brochure designs, for example) may not have as wide a reach as electronic advertising, but in smaller populations, it is possible to generate a great deal of attention for whatever purpose you have. 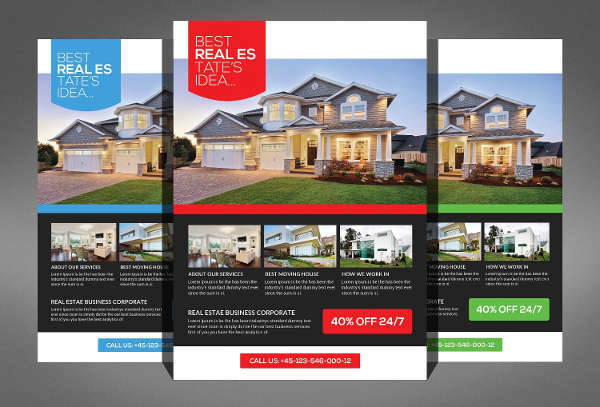 This makes flyers an especially effective medium for businesses like real estate, since real estate would have a particular need for advertisements that can demonstrate the qualities of each property. 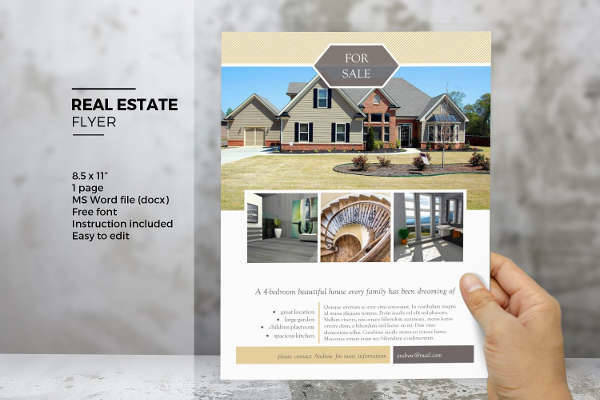 Real estate flyers can combine images of a given property with text. This allows potential clients can have a look at a property both inside and out, as well as have explanations to make the images clear. 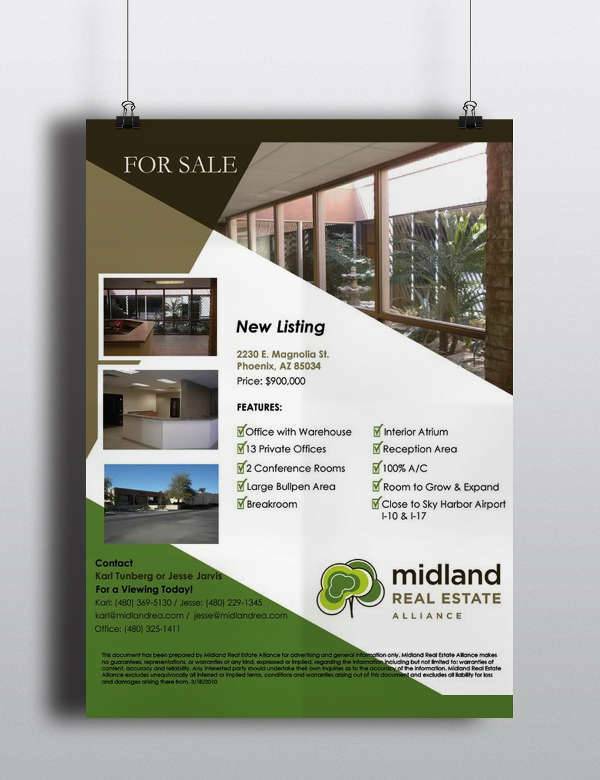 Minimalist – Making use of minimal detail in one’s flyer designs can be an advertising design choice in itself. 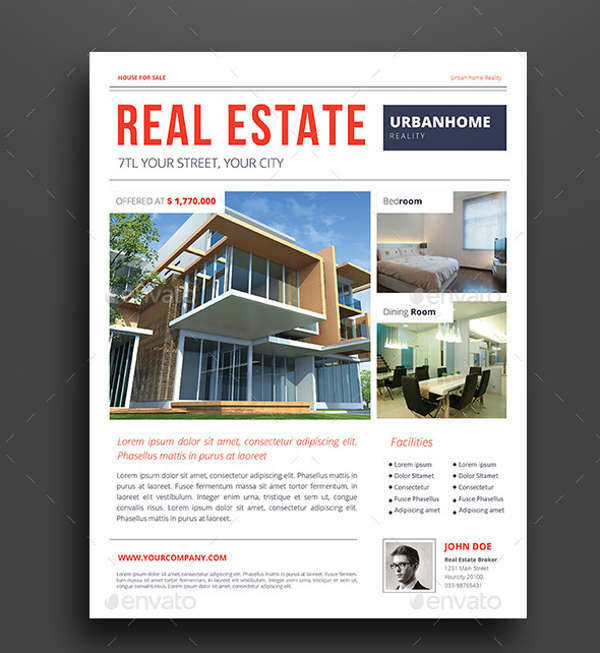 This approach allows readers to focus on what the flyer is trying to convey rather than allow them to be distracted by excessive detail. 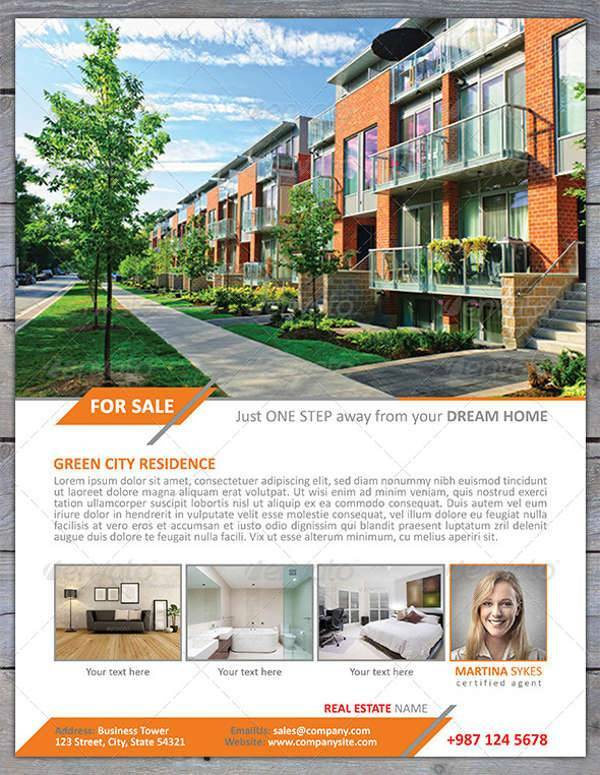 Naturally, this translates to being able to focus on the descriptions the flyer is trying to share without getting lost in real estate jargon. 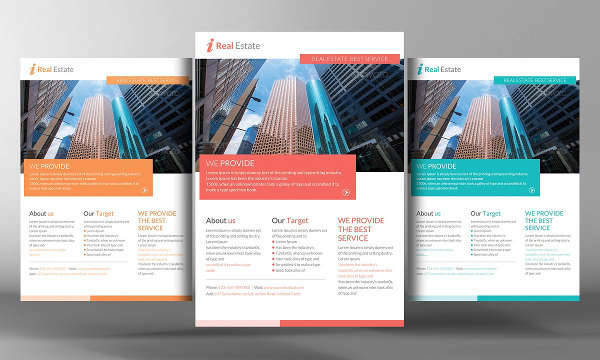 Corporate – Being a corporate tool, sometimes it pays to design flyers according to aesthetics that appeal more to people within corporations. 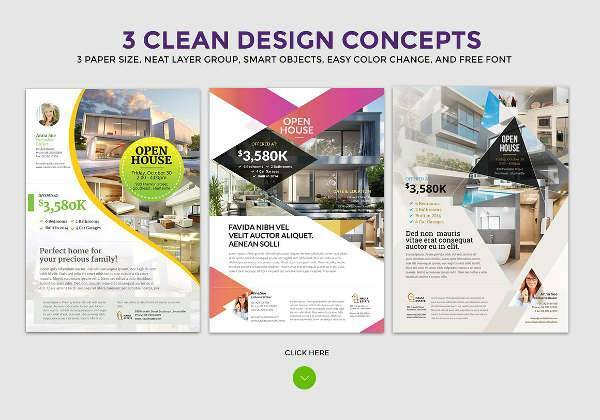 This is similar to minimalism, in that it is a no-nonsense, business-minded approach more concerned with the content than with the flourishes intended to make it look better. 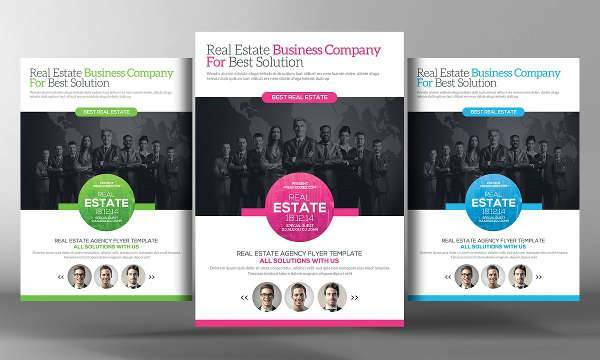 Not all real estate businesses are concerned with residences, and for businesses looking for a new address, this approach may pay off well. 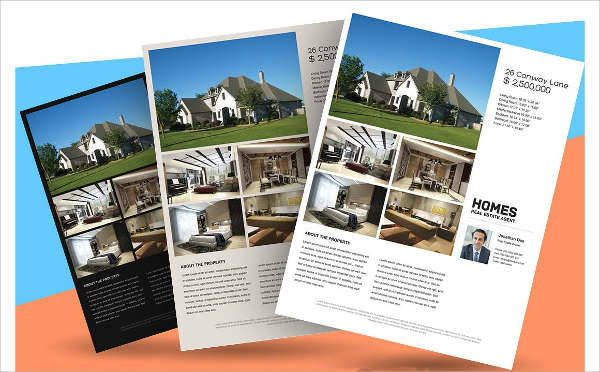 Homey – One can hardly go wrong in demonstrating what the property looks like, particularly its interior. 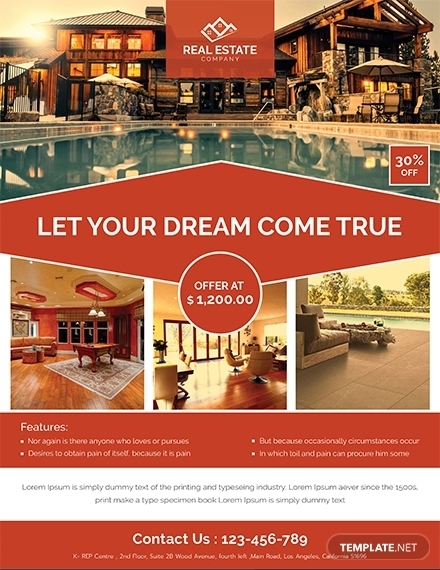 In selling a property, you always want it to look its best, and what better way to do that than to show off every aspect of the house. 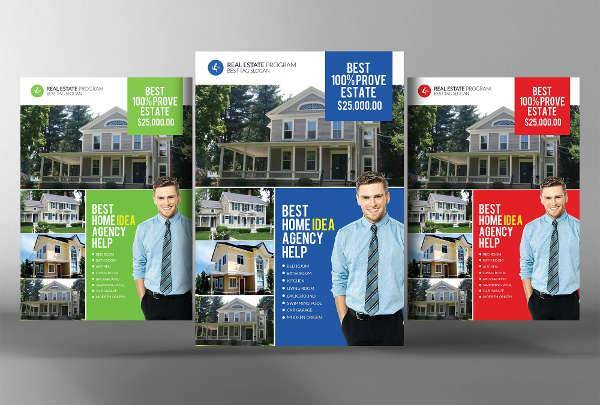 What Goes into a Proper Real Estate Flyer? 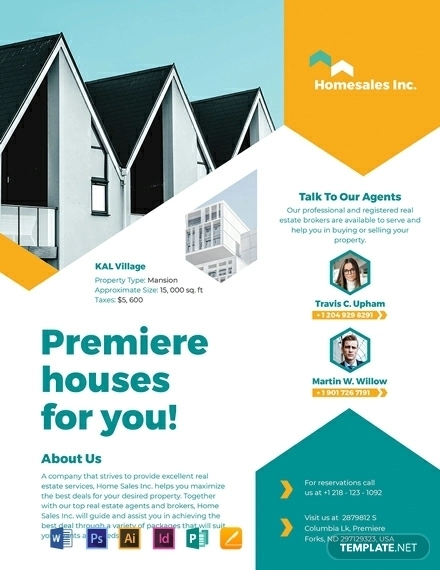 Contact information – It would be necessary to include a real estate agent’s contact information so that clients can get in touch with you, whether to provide an open house, or just to answer questions. 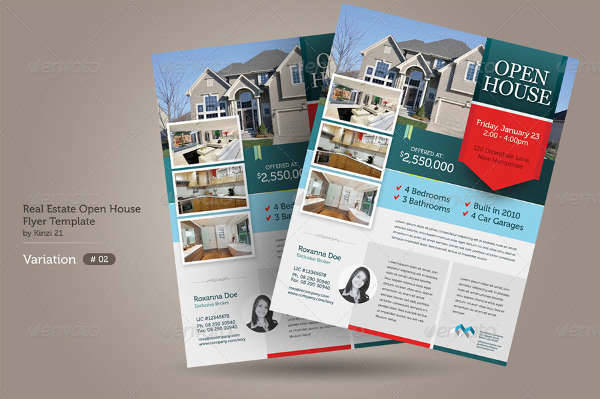 There is only so much information the flyers can carry, so it would fall on a person to handle some of the more complicated work. 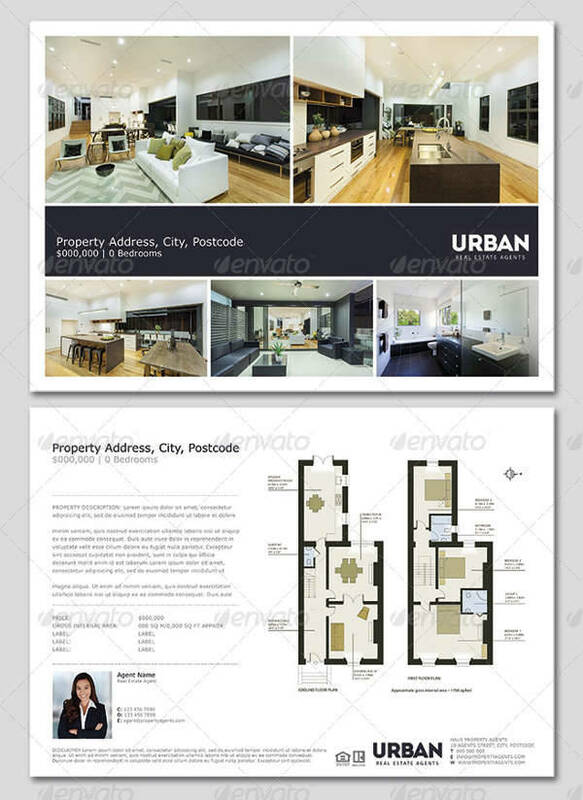 Floor plans – While basic photos of a property are all well and good, floor plans would also go some way to putting those images into perspective. 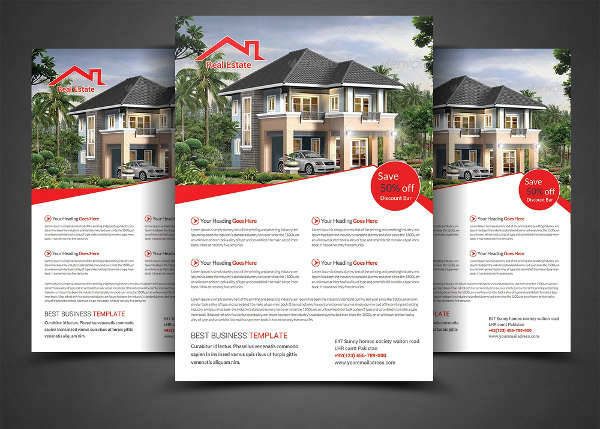 The floor plans can provide clients with concrete ideas of the size and space available on the property, which can be of use to those who looking for a building whose space matches their needs. 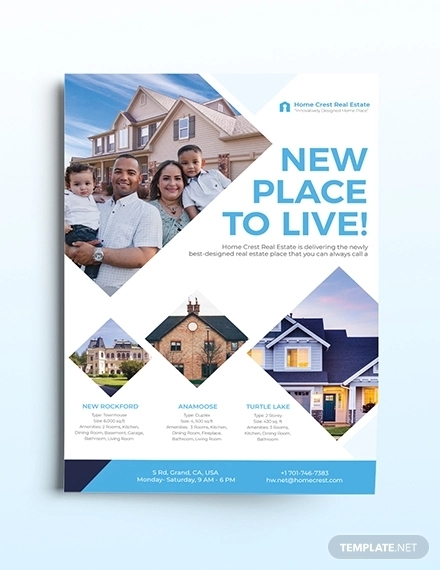 Maps of the area – Including a map of the surrounding area in your design can serve as a plus, as a convenient location can entice more people to buy up properties. 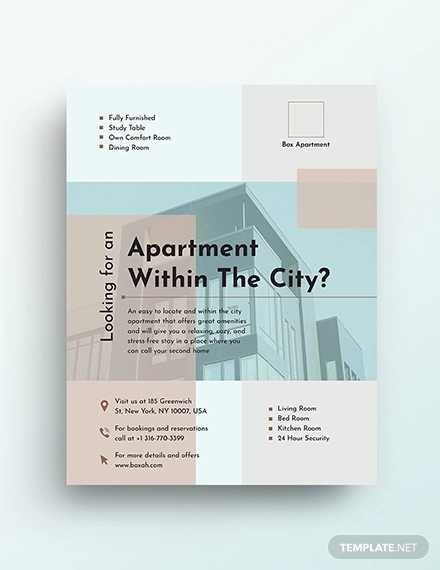 Any nearby amenities, such as nearby stores and services, convenient public transport routes, and others that can you can mention would definitely be an attractive prospect for many people. 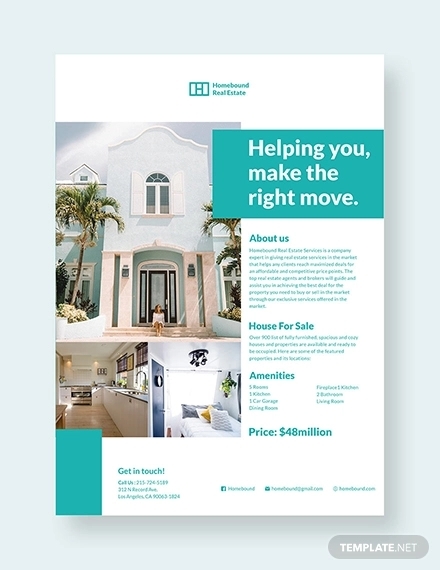 Are All Real Estate Flyers the Same? 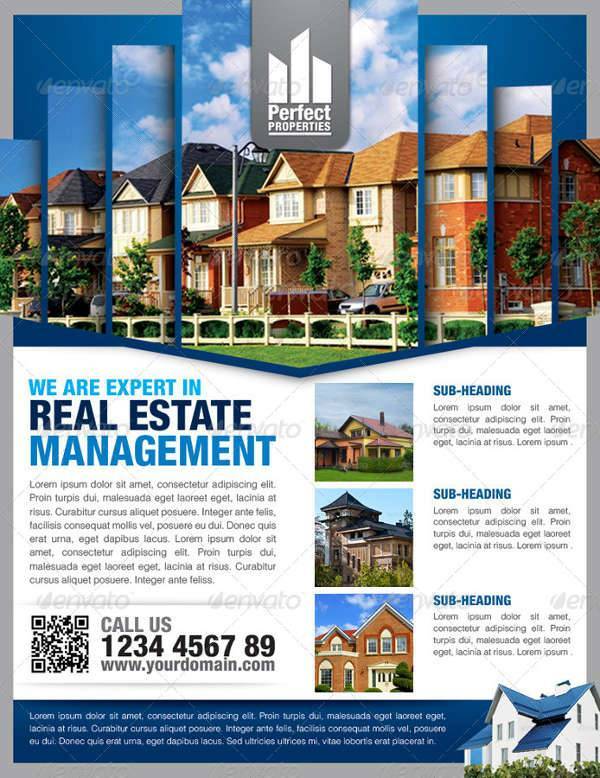 Naturally, there are different types of flyers, just as there are varying reasons one might buy a property. 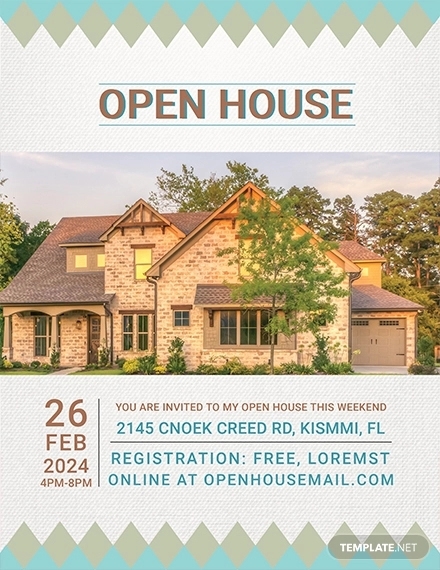 One’s first assumption might be that readers would be interested in buying homes; that might be true to a point, but homeowners are not the only people in the market looking to buy properties. 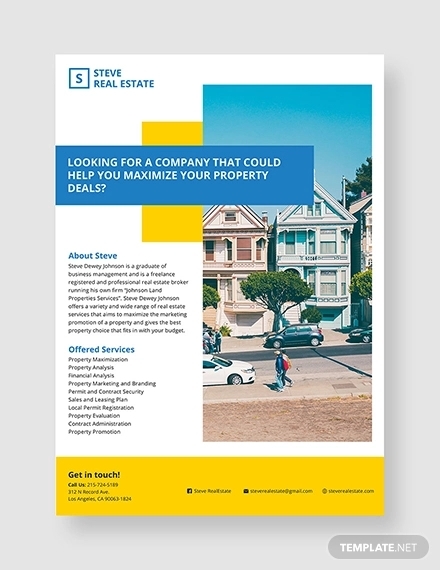 Corporate flyer designs – Businesses also buy properties, if only for business-related reasons like places for their offices. 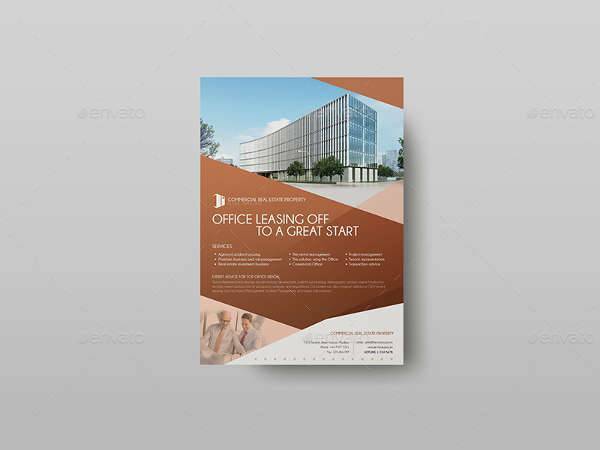 Rather than look for somewhere to reside, a business would be looking for a good location conducive for conducting their operations and is easily accessible. 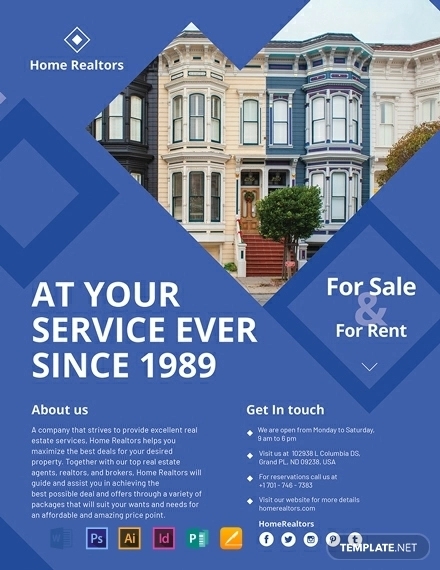 When dealing with corporations, it is important to remember that their concerns are not the same as people looking for houses. 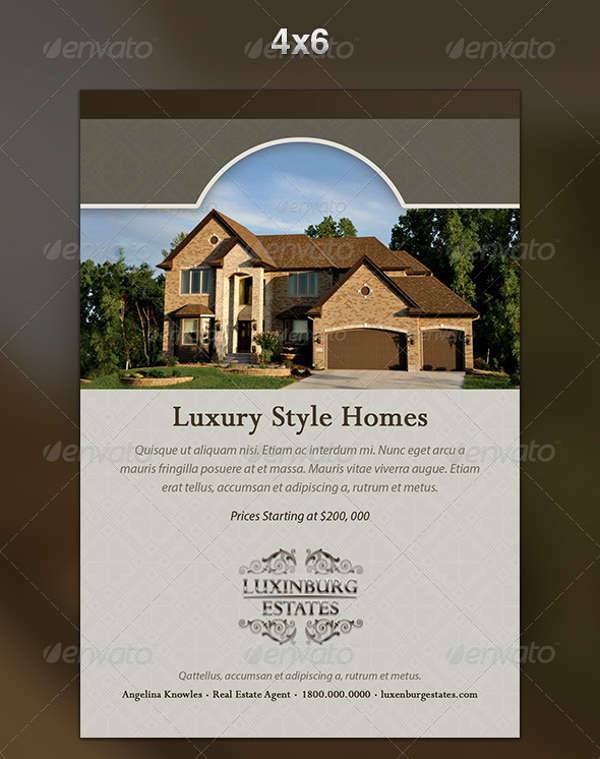 Luxury flyer designs – Other than people looking to buy homes to reside in, you may occasionally deal with people looking to buy properties that are a cut above the rest. These people, being that they usually have more money, probably have the resources to acquire the “perfect” home. 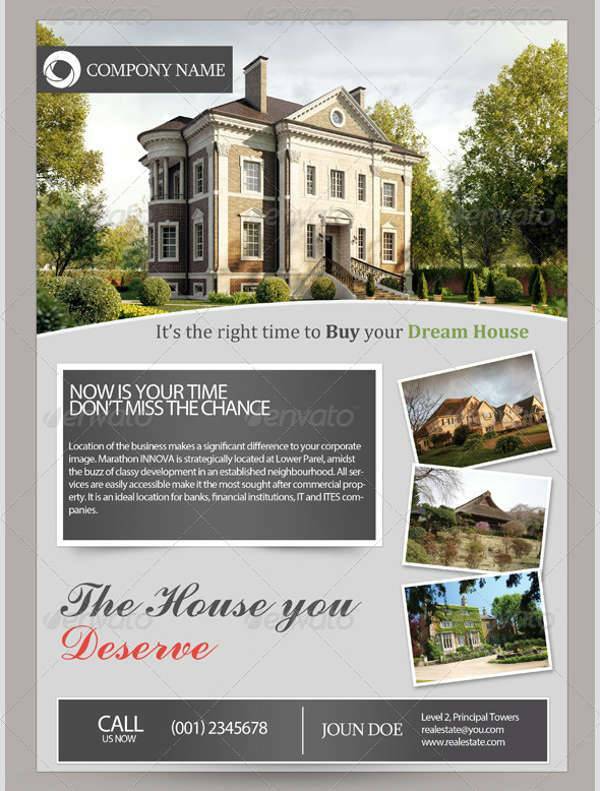 If not that, they may be looking to invest in real-estate, and need a house they can rent out. While similar to people looking for somewhere to live, their needs are not necessarily the same, which is something to keep aware of. Buying a property is no easy matter, and, arguably, neither is selling one. 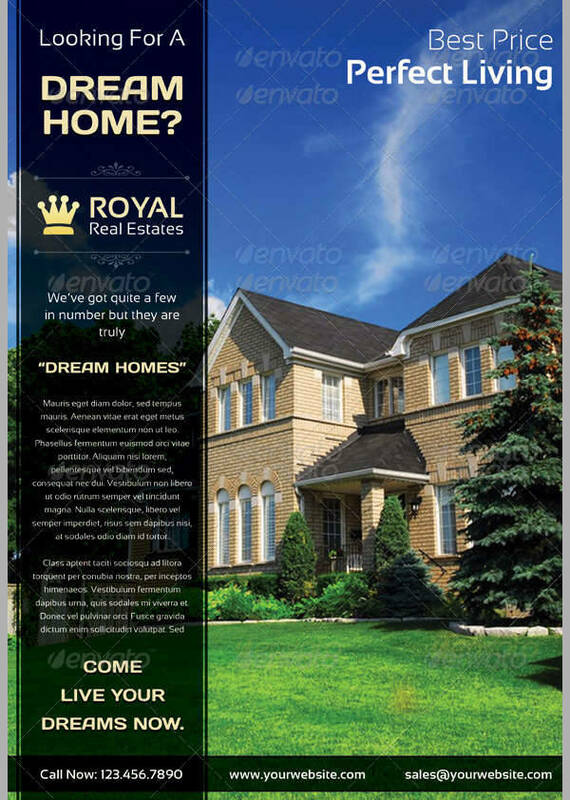 There is more to the real-estate business than simply putting a house on the market, you will have to advertise it persuasively, just like any other product. 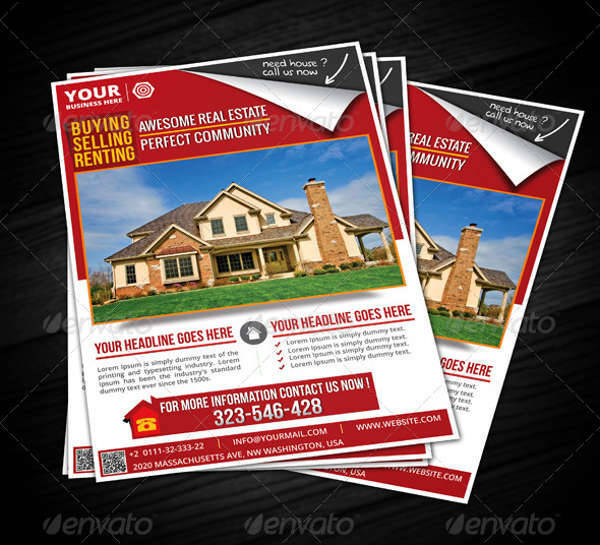 To that end, if you find yourself in need of flyers to help do just that, you may want to use these.